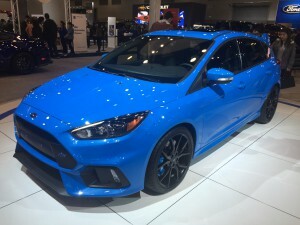 The 96th annual Vancouver International Auto Show (March 23-27, 2016) featured more than 400 new and one of-a-kind vehicles including the newest offerings from 26 major manufacturers, most of which were displayed on the lower main floor of the Convention Centre. An interesting variety of vehicles were displayed on the second floor, including a re-engineered ‘tribute’ to the famous Aston Martin DB5 Bond car. 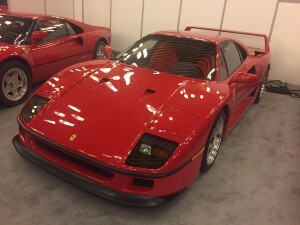 This custom vehicle, which included all the Bond gadgets, was custom-built in B.C. by TheQCar Company. Also displayed on the second floor was another ‘tribute’ car—the famous 1989 version of the Hollywood Batmobile built by Lockhart Brothers Fabrication, Victoria, B.C. By contrast, across the walkway was a 1958 Series 1 Land Rover custom body. 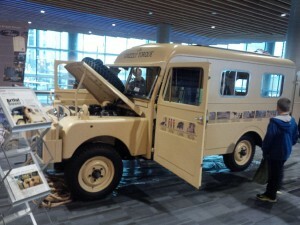 See the “Grizzly Torque” Land Rover Series 1, which was driven by Robert Bateman and Bristol Foster at the 2016 Vancouver ABFM, Saturday May 21, open from 10am to 4:30pm. This very unique vehicle had been driven by internationally recognized artist and respected naturalist Robert Bateman and conservation biologist Bristol Foster. The duo drove the Land Rover on a round-the-world trip in 1957 and their journey will be featured in an upcoming CBC documentary recreating part of the adventure. This very special Land Rover was discovered in Merritt B.C. and completely restored by Land Rover enthusiast Stuart Longair and restoration expert Alan Simpson. A ‘Need for Speed’ Mustang GT with 22-inch wheels and a supercar Acura NSX turbocharged 573 horsepower with no less than three electric motors was worth checking out. The Lexus LF SA made its North American debut at the Auto Show and Lexus also showcased three one-off creations, including its LF C2, RCF GT3 and a rare RC 350 custom, known as the ‘Lady in Red’. 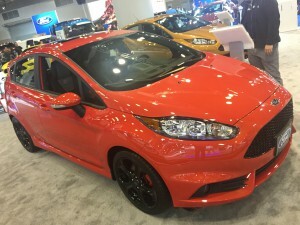 Green vehicles were featured at the Electric Vehicle Experience, where visitors could test drive a variety of models right from kerbside. 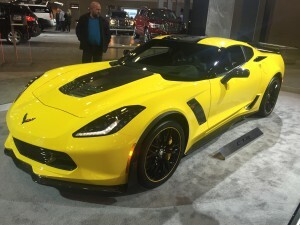 The Vancouver International Auto Show is owned and operated by the New Car Dealers Association of B.C., which represents more than 30 distinct brands from the world’s leading manufacturers. 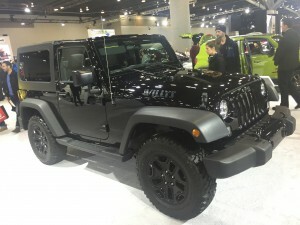 2016 Jeep Wrangler Willys Wheeler. 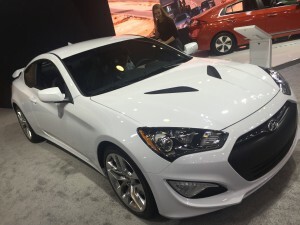 2016 Hyundai Genesis Coupe 3.8 R-Spec.